Japan has a relatively big month coming up for them, with five new Virtual Console games on the release list. On top of that, there's not a bad game in the bunch, with every single one of them being a well-liked classic. Let's hope we get some of them as well! Which of these would you like to see elsewhere first? 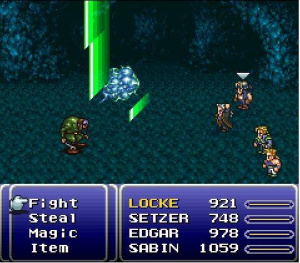 Are you happy with Final Fantasy VI, or are you just glad that Square can now potentially get to releasing some more Enix games? FINAL FANTASY SIX. WHAT. HOLYCRAPGIMME. The original arcade version of Puyo Puyo is being released to mark the franchise's 20th anniversary. As Sega stated earlier this month, this version will receive a very special feature in the form of online multiplayer. Wow, how did I miss that news? That's awesome! Good to see Final Fantasy VI but I would rather have V first translated. So how many people do i have to slay to get FFIII/VI to the U.S.? I played FF6 for the first time this year, and love it. It truly a must buy Classic! Puyo Puyo with online support! My Gawd they'll have a good month! **FFVI!!! ** And I also want Puyo Pop! It would be super special fudge borwnie awesome if we received those in March as well. Yes Final Fantasy VI is coming, now all we need left are Chrono Trigger, Lufia 1 & 2, Secret of Evermore, Dragon Quest 1-4, and the Soul Blazer trilogy. Final Fantasy VI? YES! Now release Dragon Warrior 1-3. I'm surprised it took Japan so long to get Ufouria/Hebereke. I hope the SNES Hebereke puzzle game comes to the VC in all regions as well, but we'll probably be on the Wii's sucessor before that happens. Meh. I've got 3 versions of Final Fantasy VI. Me wants FF II and FF III for NES, and FF V for Super NES (even if untranslated, I'll learn Japanese)! Although God forbid the battery on my SNES FF III cartridge dies, it'll be nice to have it available on VC! I'm so happy for Japan! I hope we get Final Fantasy VI and the online Puyo Puyo game! I would rather have V first translated. Not going to happen. Too much work even though an official translation already exists for later ports. 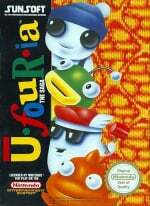 If we ever get it, its likely to be a straight port of the GBA game as a WiiWare title. Yeah Final Fantasy VI is on it's way! I was wondering if they'd ever release that one. I assumed they would some day. I just can't get into the newer games in the series. The 2-D classic style just has more charm and appeal to me. Last Resort is fun and decent, but oh so difficult; but not Magician Lord-difficult, thank goodness! Are you happy with Final Fantasy VI, or are you just glad that Square can now potentially get to releasing some more Enix games? The latter, one thousand times the latter! Good news for japan but knowing se will be waiting months for the na release. I already own FF6 on every other console possible, but I'd still probably buy it on VC anyway. Lets hope Square keeps releasing more on the VC before the Wii dies! Final Fantasy VI, enough said. If FFVI doesn't come out in America soon, I'm just gonna buy it for the Playstation... (I think it comes with either 5 or 7). Final Fantasy VI? Wow. Hell really DID freeze over! What happened, did someone bribe the CEO of Square Enix? I'm thinking someone bribed Satoru Iwata as well. Now if only someone would bribe Reggie Fils-Aime, there will be much rejoicing. The PSX port sucked, by the way; heavily compressed sound effects, long loading times and cheesy FMVs. At least it didn't suffer the horrible fate of Final Fantasy V's Engrish. Totally, completely awesome update! Can't wait for some of these to make way to the North American store. Yay! Never played FFVI so uh sue me but I'll probably get it whenever it hits the west. OMG. I just watched some gameplay footage of Last Resort on YouTube and I just about sh%! a brick. That is one supremely shooter. They either release that one on the NA VC or I'm rioting. That does look like an extremely cool game. Who says the VC is washed up? Doesn't look like it to me. This year is already off to a good start. Never played a FF game before, and I hope to make 6 my first. Kefka is back! The best FF antagonist. Sephiroth is nothing compared to Kefka. I'm going to get FF3/6 if it's coming. Now, Square-Enix, bring Chrono Trigger. I'm looking forward to Final Fantasy VI and Puyo Puyo. I already have Last Resort on my SNK arcade classics vol. 1 game. Don't you have to put up with load times then? And the translation of FFV is pretty sloppy. The GBA versions may be pricey, but they are the definitive versions of those games. We'll most likely see Final Fantasy VI(III over here) make it over to the American Virtual Console by the end of the year. Since Final Fantasy and Final fantasy IV(II) made it over here, I see no reason for VI to remain in Japan. Now that Square Enix has finished with the Final Fantasy games on the VC, maybe they can start bringing the Dragon Quest games to the Virtual Console. I do see Final Fantasy 6 making it to the vc for NA. It was a very good rpg that caused Phantasy Star 4 being unfairly overlooked and underrated in scores back in the day from magazines like Game Informer. Game Informer gave Phantasy Star 4 an average score of 7.25 and Final Fantasy 6 an average score of 9.5. I think the Dragon Quest games will be starting to be released soon. I really don't view them as big deal for me since I own the Nes copies of the first 4 besides Gameboy Color versions of the first 3 Dragon Quest games and the DS version of Dragon Quest 4. I just hope after the FF series is over that Terranigma gets released on the vc. Gasp, this is just awesome games! I already own FFIV, but it may be the best game ever. I will buy Last Resort if it comes here. Still waiting for Waku Waku 7, though. Fire Fighters (as it´s called in the west) is a cult classic, nice to see it on VC. And online Puyo puyo... cool stuff. Final Fantasy VI on VC?!?! Oh yeeeaaah!! I knew it!! My GBA FF VI was stolen by some piece of filth. I get another chance.